The best hair remover cream for down there! The 2 brands that always come up with new products are Everteen and Qraa. Their products are gentle yet super effective on the skin. I had previously reviewed Everteen products on my blog and I have repurchased them! Yes they are that good! If you are new to this blog then these are the 2 products that I am talking about---> Everteen Natural Intimate Wash and Everteen Natural Intimate Hygiene Wipes. Today I am going to talk about Everteen Bikini Line Hair Remover Cream* that is specifically for bikini line. If you think of hair remover cream as foul smell then let me tell you this hair remover cream does not smell bad and is very gentle down there! It costs Rs 149 and you can BUY ONLINE on Amazon or Everteen. Comes with a tube and a spatula! Points you need to take care of! I wish there was a flip top lid! I still remember the first time I used hair remover cream and it smelt so bad that I switched to razor. Though razors are very simple to use but they cause itchiness in the bikini area. When I got Everteen Bikini Hair Remover Cream I had high hopes from it as there is not a single product of this brand that disappointed me. The hair remover creme comes in a squeezable plastic tube with a screw top lid. There is also a spatula that allows you to cover bikini hair line properly. The pack also contains 2 coin tissues to remove hair from the area. The smell of the cream is nice and won't cause you nausea! I simply take spatula, apply sufficient amount on it and cover all the bikini line hair. I then keep it for 6 minutes and remove hair with the wet coin tissue (If you are not aware you need to throw coin tissue in a bowl of water and it will open to a napkin). It removes all hair easily and makes skin soft and smooth. It does not cause you itchiness or skin darkening as it does not contain harmful chemicals and formulated with 100% chamomile extract. It also does not cause ingrown hair or bumps! - Does not cause itching or irritation. - Removes bikini hair effextivley. - The coin tissue makes hair removal all the more easy! - No skin darkening or ingrown hair. - No irriitation post usage. - Can be used for underarms as well but I would suggest you to go for waxing for smooth, even underarms! - I wish there were more coin tissues in the pack! Everteen Bikini Line Hair Remover Cream is definitely one of the best hair remover creams I have used. It is gentle on the skin yet removes all hair effectively with no tugging. My skin feels soft and smooth with no irritation. Bonus: No foul smell! I would highly recommend it to everyone! - Alwayx trim your bikin line hair beofre using hair remover cream. 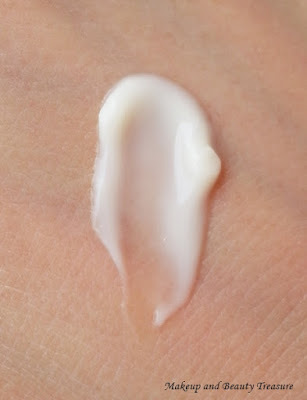 - Cover hair properly with hair remover cream. This way hair come out on their own. - Use Everteen Natural Intimate Wash post usage. DO NOT USE SOAPS! Do you use hair remover cream for removing bikini line hair? Do try it Neha. Its great! Sounds great.Would definitely order it.Thanks for sharing Megha. Hope u ll like it too! Do give it a try. Its good! I loveee voin tissues but didn't know they could come in handy for hair removal! :D lovely review dear. At the moment I am using Veet. Same here Bush! Coin tissues removes hair in a jiff! Try this one. Its better than Veet! Even I wish that they could have given us more coin tissue. Yes the cream can be used at least 5 times! Seems to be a good one. Shall give it a try. Do try it. Its better than other hair removers!